Taking land and water research and making it relevant and practical to farmers is the task that Southland applied research group Land & Water Science has set for itself. Land & Water Science founder Dr Clint Rissman says the New Zealand scientific community is assembling a large trove of information and data about land and water systems, ''but for it to be of any use we need to make it relevant at a catchment and property scale''. Dr Rissman has worked in the research and regional council science sector and has more than 15 years' experience in the geothermal, greenhouse gas and water quality industries. ''A particular focus for our group is to use the physiographic (the science of physical geography) approach to understanding variations in water quality outcomes,'' Dr Rissman said. He said the researchers are using a large volume of publicly available information from government and private sources to help provide a more detailed understanding of land and water systems. Unlike other approaches, physiographics incorporates water quality, hydrochemical and/or hydrological response signals to identify, select, combine and classify landscape gradients that drive variation in water quality. One project the group has been involved in is ''Living Water'', which is a partnership between the Department of Conservation (Doc) and Fonterra with involvement from local landowners to undertake high-resolution physiographic mapping of the Waituna Catchment, Southland. The key aim of the project is to support water quality and biodiversity investment decisions for the catchment, and to assist the partnership in achieving their aim of finding solutions to enable farming, freshwater, and healthy ecosystems to thrive side-by-side, Dr Rissman said. Land and Water Science is also working with the Sustainable Farming Fund to improve water quality by placing state-of-the-art science into the hands of farmers, and into the heart of their land-use decisions. Physiographic information can help show farmers how potential contaminants are likely to travel within their farm boundaries, allowing them to consider what actions they can take to minimise water contamination risks. 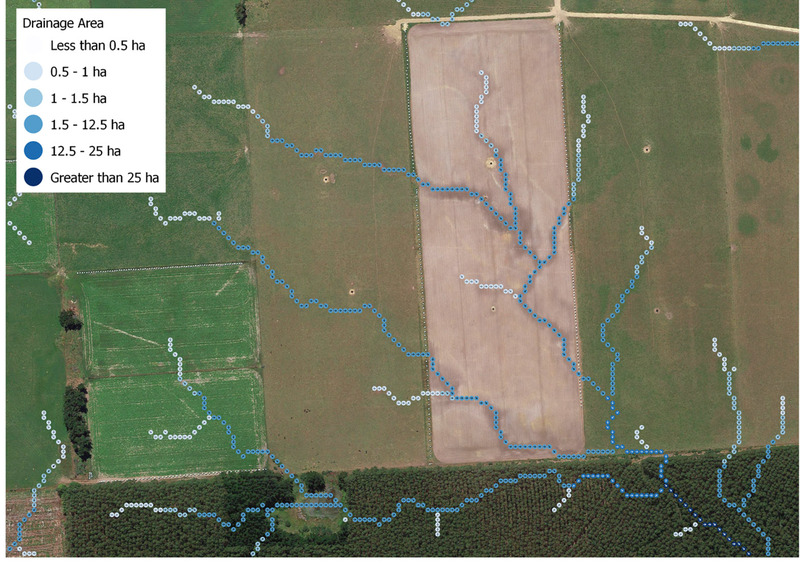 ''Under this project we would work with the primary industry groups to create a free web-based spatial platform to help inform farmers' land-use decisions,'' Dr Rissman said. Dr Rissman said that to put the science directly into the hands of farmers, they need a simple,easy-to-access way of viewing their farm's water quality setting and water quality risk in the context of their local catchment. ''Communication and tools available that are relevant to the different farming systems is the challenge we are working on. ''We want the outcome to be better understanding for farmers and improved land and water quality.